After spending the past day or so teasing fans with a stream that eventually resolved into a countdown clock, Sid Meier appeared on the Civilization YouTube channel to announce Civilization VI: Gathering Storm, a second expansion coming to PC on February 14, adding forces of nature to the popular strategy game. The Gathering Storm expansion adds a new worry for world leaders in Civilization VI. Player decisions on how natural resources are utilized in crafting their cultures will affect weather, natural disasters and global warming. Players will manage new power and consumable resources with fellow world leaders to try and to keep the balance between humanity and nature from bringing about disaster. The expansion also adds the World Congress, which brings with it a new diplomatic victory condition. Players can gain diplomatic victory points by working with other civs and helping avert natural disasters. Along with this major climate shift, Gathering Storm also expands technology and civic trees into a future era, and adds nine new leaders across eight new civilizations. 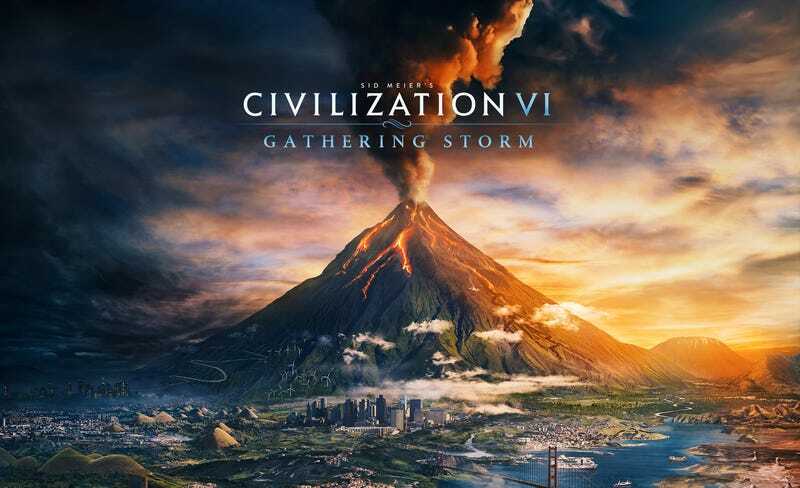 Players can learn more about the Gathering Storm expansion over at the official Civilization VI website.